Deployments of CCTV cameras are rising with days, with growing awareness – be they under whopping Smart/ Safe City projects or just for mere individual or community safety. 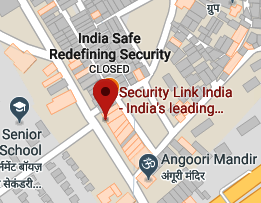 Recently, in a bid to address security concerns and check the lumpen elements that often created nuisance on roads, a group of youths in Bangaon village of Saharsa district in North Bihar has devised a self-financed security system using CCTV cameras. Police were not able to take action against those hooligans as witnesses often turned hostile. In Ahmedabad, CCTV cameras helped authorities catch students copying during Gujrat board exams. The installation of CCTV cameras at Bedia village in Gir-Somnath district has helped people change the perception that the presence of lions is harmful for cattle. The AAP Government in Delhi is planning to install 1.46 lakh CCTV cameras in Delhi schools in six months; and so on and so forth. Safety and security are a fundamental necessity for the socio-economic evolution of a society, and so they have been since the time immemorial. However, it has not been amply responsive till the recent emergence of science and technology based products and solutions. Mass people were ignorant and therefore insensitive towards the need and availability of safety and security solutions. Besides, safety and security were earlier perceived as a subject of the state. But today, the growing cases of diversified crimes have created the requirements for relevant technological developments, and necessitated the mass people to change their minds and consider them as the basic essentials of their living. Education and mass awareness have aided them to understand the urgency. Wide availability, and easy installation and maintenance of various brands of CCTV solutions are attractive incentives for the people to adopt them. The time and the mood of the market are conducive for the industry as well as for the nation. Today the CCTV market in India is growing at an annual rate of nearly 20% that is an encouraging figure. However, how far the installations are able to accomplish their aims is a matter of evaluation. Though CCTV installations are certainly acting as deterrents, crimes are growing day by day, and they often go unnoticed. There are frequent cases when CCTV footage is either not available or available footage is not clear enough to produce substantial evidence when needed, or monitoring of the footage is lacklustre. In a recent case of sexual harassment of a Delhi University student the installation could not produce any footage; few months back a fleet of horse riders successfully rode through Noida Expressway unnoticed, causing lots of difficulties for commuters, even though the way is under consistent surveillance; and etc. These incidents are flaws in the whole system that may be attributed to the lapses caused by negligence, human errors, corruption, or technical inferiority and incompatibility of the equipment installed for a desired objective. As often advised, it is not enough just to install CCTV cameras but to implement all-inclusive integrated solutions along with alert and apt responses of the human elements supervising them. Proper and timely maintenance and frequent auditing of data are prerequisites for the system to realize its goals. This issue of SecurityLink India carries an informative report by FICCI and E&Y on Cybersecurity called ‘Confronting the New-Age Cybercriminal: Disrupting the Web of Crime,’ besides other interesting updates. We trust you will enjoy studying them.